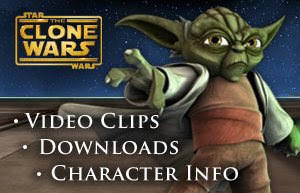 Cartoon Network made the special announcement today that Star Wars The Clone Wars Animated Weekly Series will begin on October 3, 2008. The weekly series will tell the continuing story from The Clone Wars movie how in theaters of the battle between the Jedi and the Sith. With Star Wars The Clone Wars both in theaters and on the television screen, Star Wars costumes will be in high demand this Halloween! Our Top 10 Halloween Costumes List is now available at ExtremeHalloween.com. On that list, the Dark Knight costumes are the most popular choice for boys and men this Halloween. The Batman costumes aren't the only Dark Knight costumes flying off the shelves. Because of Heath Ledger's amazing portrayal of the Joker, Joker costumes are also high in demand. Annie's Costumes also has Batgirl costumes for girls who want to dress up like the Dark Knight. If you're not into the Dark Knight, there are plenty of other Halloween costume ideas to choose from. Star Wars costumes and Hannah Montana are still popular favorites for this Halloween. It's just days before the traditional Labor Day Halloween season kick off but Joker costumes seem to have already flown off the shelves. The passing of Health Ledger, paired with the success of The Dark Knight, made the Joker Halloween costume everyone's go to Halloween costume idea. Read more about this story and get your The Dark Knight costume soon, before they're seriously gone. Last week Cinderella, Snow White and Tinkerbell were arrested. Ok, not really, but 32 protesters - some wearing Disney costumes - were arrested while gathering for a labor dispute involving Disneyland's most closely affiliated hotels. The protesters were arrested under misdemeanor charges and have since been released. For more on this story visit Yahoo! News and to get your own Disney Costume check out Annie's Costumes. Sending Packages To the Military? If you are sending a package to military personnel for Halloween, Annie's Costumes can help. They have began to ramp up efforts to prepare for the busy season and help ensure the Halloween costumes arrive on time. One big note is, if you are sending Halloween costume packages to the military, the orders must be placed roughly 15 - 17 days before you want the package to arrive. 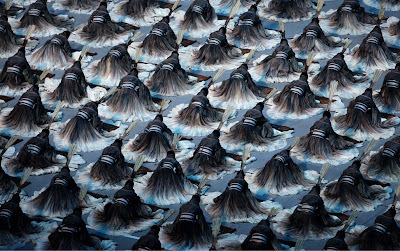 The Costumes worn at the 8/8/2008 Olympic Opening Ceremony were some of the most intricate displays of dress and movement I have seen in a while. For more Opening Ceremony pictures click here. 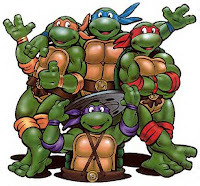 Imagine driving to work and passing a group of Ninja Turtles on your way. If you were in Maine this week, this may have happened to you. There is a group of runners in Cape Elizabeth, Maine who run in costume. They have worn Batman, Superman, and Spider-man costumes in years past, but this year they decided to dress as the Teenage Mutant Ninja Turtles. Adorned in green under armor, yellow tank tops, green spandex, yellow shorts and topped off with face masks and turtle shells, the runners ran over 6 miles. Half way through, their costumes earned them a snack. A local pizza restaurant gave the runners a slice of pizza as they ran by. The runners admitted it was hard to run and eat at the same time, but embraced their alter ego's appetite for the snack.